The M.A.T.S.S. Summer Day Camp program provides a variety of fun and safe activities to keep your child entertained and enriched. We provide certified teachers and highly qualified counselors for each age group. 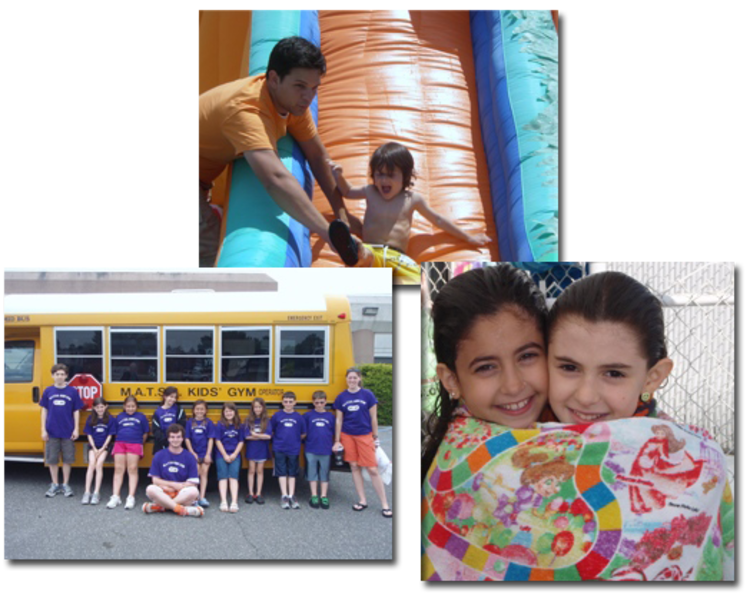 Each new summer season we create a new Theme (like "M.A.T.S.S-opoly" & "Feeling Summre Fun") and then integrate weekly mini-themes adding specialties during these weeks such as puppets shows, dunk tanks, ice cream man and much more! In our air-conditioned facilities and fully-equipped over-sized gyms- gymnastics, sports, and creative movement are included each day. Manipulatives such as ribbons, beanbags, scarves, instruments, and balls enhance the physical aspect of our program. Also included in our summer program are arts and crafts, edible art, gym time with inflatables, a game room, plenty of outdoor time with water activities and playground equipment, lunch, snacks, ices, and exciting field trips for older campers. - Flexible weeks- You decide what works for your family! Check out our Syosset & Bellmore locations- select "Summer Program & Classes" (Yellow Crayon), for more information on specific Themes, July & August Activity Calendars, Schedules and Offerings this summer! Also check out our Summer Program Picture Collage via our Picture Gallery located on our homepage.